Think of us as the Iron Chef of media development companies, with each system another gourmet meal cooked just for the client. We may make it look easy, but there’s a method to our madness. 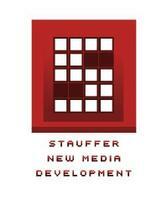 We help break down the barriers impeding communication, all while building the media systems businesses needs. Utilizing the latest technology, software, and content management systems, we create advanced systems that achieve business goals, yet are easy to manage. Through the use of software such as Drupal, Magento Commerce, Sugar CRM, MySQL, PHP, Java, and even .NET, we are able to create customized solutions for web and mobile systems. When we’re done, not only do clients have a system that works, but they understand how it works—so clients can “speak geek” with the best of them.